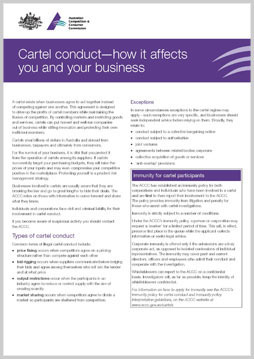 A cartel exists when businesses agree to act together instead of competing against one another. This agreement is designed to drive up the profits of cartel members while maintaining the illusion of competition. By controlling markets and restricting goods and services, cartels can put honest and well-run companies out of business while stifling innovation and protecting their own inefficient members.